We are having in normal spring and summer times training sessions every Wednesday from 17:30 – 19:30 (or longer;-)) and Saturday from 15:30 – 16:30. 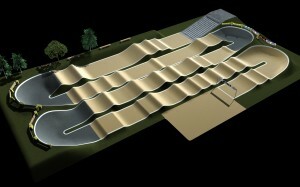 The track is born in 2010 and will finish at least in April 2011. We are having a starting gate from Bensink.